One of the main reason I wanted to visit Mongolia was to see the Naadam Festival, a nomadic celebration taking place on the 11th-13th July in Ulaanbaatar. It is important for Mongolian tradition and predates the millennia. It focuses on the three main sports: archery, horse racing and wrestling. Click on the slideshow at the bottom of this article to view some pictures. We first had to buy tickets for the festival and at the time this seemed virtually impossible, however after asking around at a few hostels we managed to secure some for $30 through Sunpath Mongolia. This included tickets for both days of action. The first day in the stadium consisted of the opening ceremony and the first 2 rounds of wrestling. This year there were 1024 wrestlers competing s o the first 2 rounds took all day. It’s a knockout tournament so if you win you’re through to the next round, meaning the winner has to win 10 fights to be crowned Naadam champion! There were 2 tickets issued for the second day, a morning session and an afternoon session. The morning session consists of rounds 3 and 4 of wrestling and the afternoon session consisted of the remaining rounds, the award ceremonies and the closing ceremony. The archery takes place just outside the stadium which you do not need tickets for and the horse racing start/finish line is situated about 10km outside the city, easily a ccessible by free shuttle bus. At the horse racing you can only see the start and finish as they race for such long distances, but you can watch the rest of the action on a big screen. The majority of the archery and horse racing takes place on the first day. The opening ceremony was a fantastic, colourful and energetic experience and I would highly recommend it. It depicts the history of Mongolia, starting with the bronze age, all the way through to the modern day. There is so much going on on the field you can’t take your eyes away. It shows how Chinggis Kahn unites the four corners of Mongolia and the show finishes up with 5 men parachuting into the stadium. When the opening ceremony finishes the wrestling starts straight away, however the stadium empties. The first 2 rounds a re pretty pointless but still cool to see. The wrestlers are ranked and the top ranked wrestler fights the lowest ranked wrestler, the second the second lowest and so on. This means the bouts do not last long unless the wrestlers are evenly matched (around 496-514 on the ranking list). As this is the case a lot of the locals leave to watch the archery outside the stadium and only return the next day to the stadium, in the afternoon, to view the last rounds of the wrestling. One thing to note when watching the wrestlers is the two red strips hanging of their hats. If they have yellow stripes on their first red strip it means they have won the Naadam tournament before, the second red strip with yellow stripes on indicates what rank of wrestler they are, falcon or elephant for example. Make sure you memorise your favourite wrestler though as they take their hats off before they wrestle. This is the same for the archery, the more yellow strips, the higher ranking they are. On the second day the morning session isn’t too busy inside the stadium as the locals are only really interested in round 5 and beyond, as this is where things start to get interesting. However the rounds often go on longer then expected and this year the champion was crowned nearing 1am. It becomes a really long day and even though its cool to see, I’m not sure I’d recommend buying tickets for the second day, unless you are committed to watching the final. You can see everything you need to on the first day and its often better watching the wrestling in a pub on TV. This year we watched rounds 7-10 back at the hostel with a Mongolian family, who could explain what was going on. The wrestler who was crowned champion was from the hometown of the hostel owner, so he was really excited and emotional! Wrestling means a lot to the whole country. There are events the day before, the 10th July, at the main Chinggis Kahn square which are worth a visit. You can see the different traditional costumes of the different provinces of Mongolia and after there are singing and acrobatic performances. It’s a relaxed, party, carnival atmosphere and you can feel the whole country coming together. Purchase tickets through a hostel, we were told there were touts selling them outside the stadium but I didn’t see many and they charge over the odds. Even though you pay a bit more through the hostel then the local price, you are guaranteed a ticket. It’s almost impossible for a tourist to get tickets at the local price, so I wouldn’t bother trying. You only really need a ticket for the first day, unless you really want to see the wrestling final. You can see everything you need on the first day and watching in a pub or the hostel is a lot of comfortable. The seats at the stadium are really cramped and small. Take a hat, sunglasses and suncream, maybe even an umbrella. It gets very hot with the sun beating down on your head all day, nearly every local takes an umbrella, making for even less space. Book your hostel in the city well in advance, it gets very busy and is almost impossible to find a free hostel bed. Withdraw your money in advance. On the day of Naadam, even the day before very few banks are open and the atm’s have very long queues and run out of money quickly. Take food with you if you’re not keen on Mongolian street food. On the second day I took a loaf of bread and some chocolate spread. There is no food inside the stadium, only drinks. For diabetics your only option is to buy water as the only other drinks available inside are not sugar-free. You can leave the stadium to visit the stalls outside and to see the archery and you can get back in. There are no toilets inside the stadium, only porterloos outside, which cost 300 Tugrik per use. You can get a schedule of what is going on from your hostel. I’ve attached this year’s schedule in the slide show below to give you a basic idea. Nothing is in English so for a better idea of what is going on speak to the tourist police outside the stadium. They are not police, just there to help you out. They provide leaflets in English describing the rules and regulations of each sport. 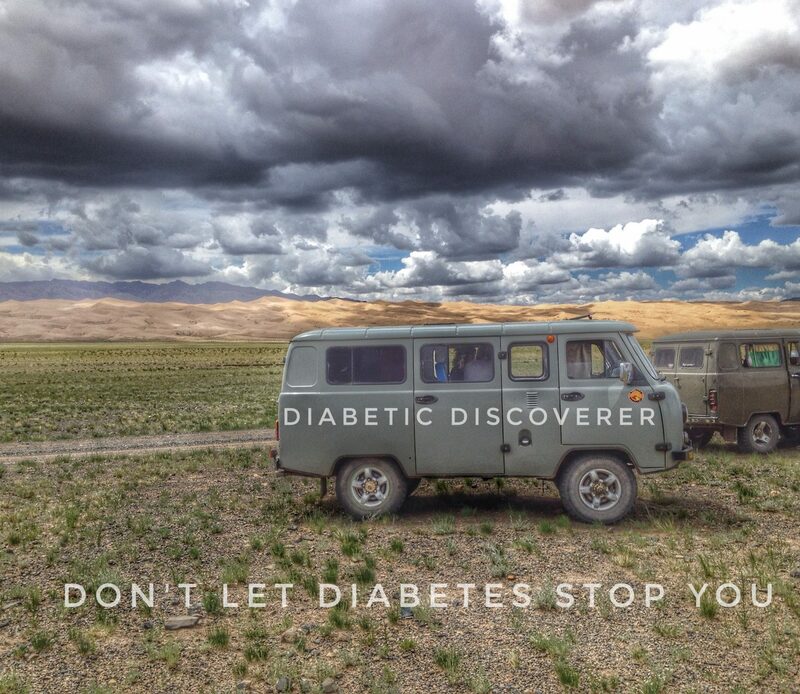 This entry was posted in Diabetes, Fun, Mongolia, Naadam Festival, Naadam Festival 2016, Naadam Tickets, Travel, Ulaanbaatar and tagged Naadam, Naadam Festival, Naadam Festival 2016. Bookmark the permalink.